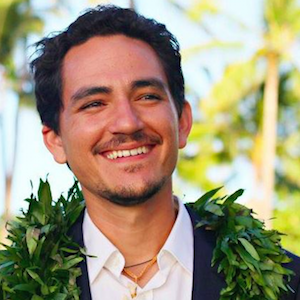 Native Rapanui Producer/Director Sergio Mata’u Rapu is the only Easter Islander working in production in an English speaking country. He has spent the last 15 years shooting, and producing documentaries that have aired on History Channel, Travel Channel, National Geographic, and NOVA. Through his work, Sergio aims to show the diversity of life through thought provoking media to inspire resolutions to social, economic, and environmental conflicts. Elena Rapu is an anthropologist and filmmaker. She received her MA in Anthropology from SUNY Binghamton, specializing in the Pacific. She has 15 years of experience on Easter Island working in archaeology, the hotel industry, and guiding tours. She is passionate about exploring the complex realities faced by living cultures as they grow and change in a globalized world. Gordon Quinn is the Co-founder and Artistic Director of Kartemquin Films. He has produced, directed and/or been cinematographer on over 55 documentaries across five decades, and given valuable editorial, ethical, fair use and production advice on countless more. He has won three Emmy’s, a Peabody, and numerous other awards from the Sundance Film Festival, IDA, and DGA along with an Oscar nomination for Hoop Dreams. Betsy is the Executive Director of Kartemquin Films. Prior to Kartemquin she spent eight years as Managing Director of the Illinois Film Office where she she spearheaded Illinois’ transformation into a world class film destination. Betsy has served as vice president of business development for Towers Productions developing and pitching documentary specials and series for A&E, History, Discovery and National Geographic. She also supervised, produced and directed documentary specials and series including Emmy nominated Isaac's Storm and The Times Capsule, a co-production with the New York Times and History Channel. Jeff has been a freelance Director of Photography since 1995 and has won multiple awards for his work in television and feature length documentaries. Some of his most successful television productions include Space Mysteries, the four hour series for National Geographic, Lost Landscape: America’s Tallgrass Prairie for PBS, and 100 Greatest Discoveries hosted by Bill Nye for the Discovery Channel. With over 20 years of production experience both in news, commercial, and corporate projects, Mark Mostad brings a versatile skill set to the team. He is fluent in production sound techniques as well as an avid camera operator and gaffer. Additionally, he has extensive production travel experience that has taken him around the world including the Tour de France, Soccer World Cup, Super Bowl and to over 15 countries on various assignments. Liz Kaar is an independent documentary filmmaker and editor working in Chicago and Latin America. She has worked with Kartemquin Films in various capacities for over 10 years. She was an assistant editor for Kartemquin’s, In the Family, Milking the Rhino, and No Crossover and she edited Kartemquin’s feature-length documentary Typeface, as well as a slew of shorts, demos and trailers for the company. Most recently she edited and associate produced the feature-length music documentary Andrew Bird: Fever Year and is currently working on the Kartemquin Films and Al Jazeera America co-production six part series Hard Earned. The organization's films have received three Academy Award® nominations and won several major prizes, including six Emmys, two Peabody Awards, multiple Independent Spirit, IDA, PGA and DGA awards, and duPont-Columbia and Robert F. Kennedy journalism awards. Kartemquin is recognized as a leading advocate for independent public media, and has helped hundreds of artists via its filmmaker development programs that help further grow the field, such as KTQ Labs, Diverse Voices in Docs, and the acclaimed KTQ Internship. Pacific Islanders in Communication (PIC) was established in Honolulu in 1991 as a national non-profit media arts organization. PIC is a member of the National Minority Consortia (NMC), which collectively addresses the need for programming that reflects America's growing ethnic and cultural diversity. Other NMC members serve the Asian American, Latino, Black, and Native American populations. Over the past years, NMC members have provided hundreds of hours of culturally-diverse programs to PBS. Primary funding for PIC and the NMC is provided through an annual grant from the Corporation for Public Broadcasting (CPB). 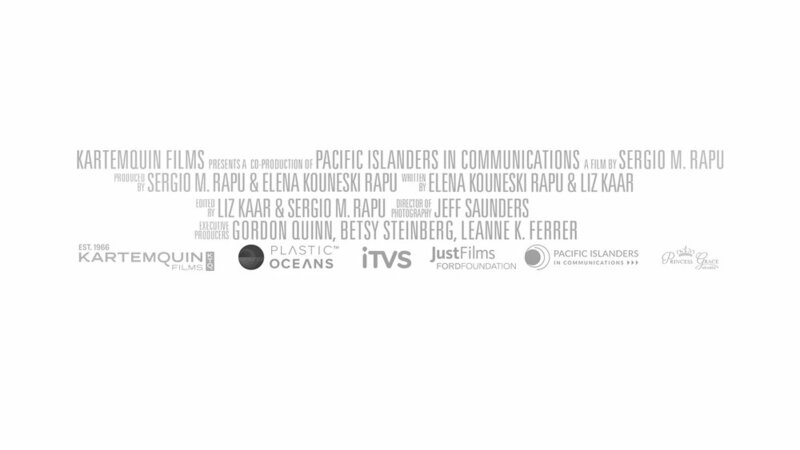 The mission of Pacific Islanders in Communications (PIC) is to support, advance, and develop Pacific Island media content and talent that results in a deeper understanding of Pacific Island history, culture, and contemporary challenges. In keeping with the mission, PIC helps Pacific Islander* stories reach national audiences through funding support for productions, training and education, broadcast services, and community outreach.